Get Valentine’s Day Gifts and Flowers Online with Island Wide Delivery. Love is a commitment. It’s not something you can force yourself into nor a noun or a verb. Love takes many different shapes and forms. Sometimes it feels more passionate than other times, sometimes it feels intense and strong, and sometimes it feels safe and steady. But regardless of the form, the root of love is a constant it is always there, just dressed up differently. It is something truly magical, because of love, you will do things without a rhyme or a reason. And sometimes love is the only reason you need. Kapruka is the one stop solution to find the perfect gift for that special someone who makes your heart skip a beat. We decided to help you out by answering some frequently asked questions, mostly by guys who are not always “romantic beings” but then panic starts creep in as Valentine’s draws near and the Girlfriends keeps on hinting, and asking about their Valentine’s plan. Send/Gift Valentines day flowers and gifts online or Online Valentine’s flower delivery. Just one click and browse through a virtual garden of flowers dedicated for love with the cutest collection of goodies ranging from chocolates, cakes, teddy bears, pens, perfumes.. you name it.. we have it. Kapruka has a team of dedicated employees with a massive fleet of vehicles dedicated to deliver your valentine’s gift or flowers the day you want. If there is any company that can deliver your surprise Valentine’s gift, flower arrangement or just a simple rose it is Kapruka. We provide an Island wide delivery service where you can easily place the order online from where ever you are in Sri Lanka or across the Oceans and make sure that your lover is delighted with a simple gesture may it be in Point Pedro or Dondra Head. We are your very own Valentine’s Day Florist shop. Best and Beautiful flower arrangements,Flower bouquets and gifts for Valentine’s Day. A single rose – often gifted to those you love, a single rose indicates ‘love at first sight’. 2 Roses – you would gift two single roses to those you are deeply in love with. 3 Roses – ‘I love you’. 4 Roses – the perfect way to say ‘nothing will come between us’. 5 Roses – a great way signify your love for a special someone. If you want to show a partner or friend how much you care for them, five roses is an ideal option. 6 Roses – signifies ‘I want to be yours’. If you’re dating someone and wish to take your relationship to the next level, gifting them with six roses is the perfect way to subtly express those feelings. 7 Roses – when considering the meaning of roses, this quantity signifies infatuation. 8 Roses – if a friend or family member is going through a tricky time, eight roses is the perfect number to gift them with as it shows support. 9 Roses – a symbol of eternal love. You would often give this exact number of roses to those you wish to spend the rest of life with. 10 Roses – a simple yet powerful way to tell a special someone ‘they’re perfect’. 11 Roses – ‘you are my treasured one’. 12 Roses – gifting someone you are fond of with 12 single roses is a simple way to ask them to be yours. 13 Roses – the meaning of roses when presented in the number 13 can either symbolise eternal friendship or a secret admirer. 14 Roses – if you’re proud of someone, 14 roses is the number to choose. 15 Roses – if you’ve done something to upset someone and wish for forgiveness, opt for 15 roses. 16 Roses – say ‘Bon Voyage’ with 16 roses. 17 Roses – this is the number of roses you would gift your wife, be it on her birthday or another special occasion. 18 Roses – if you wish to tell a loved one to ‘stay young and beautiful’, gift them with 18 roses, a symbol of sincerity and trueness. 19 Roses – the number of roses to give someone you plan to wait for. 20 Roses – symbolic of sincerity and belief. 21 Roses – show your commitment with a bouquet of 21 roses. 22 Roses – this quantity boasts two meanings – togetherness and luck. 24 Roses – let a special somebody know they’re always on your mind with a gift of 24 single rose stems. 25 Roses – wish someone all the happiness in the world with 25 roses. 27 Roses – tell your wife how much you love her with 27 roses. 30 Roses – this quantity suggests faith and faithfulness. 33 Roses – signifies affection. 36 Roses – one way to remind your partner of all of the romantic moments you have shared together. 37 Roses – if you love someone from the bottom of your heart, tell them how much with the gift of 37 roses. 40 Roses – if you hold a genuine love for a special someone, this is the number to choose. 44 Roses – when you wish to pledge an unchanging and constant love. 47 Roses – this number signifies ‘you are my one and only’. 48 Roses – representative of an unchanging love. 50 Roses – unconditional love. 51 Roses – if you only have one person on your mind, choose a bouquet of 51 roses. 56 Roses – this number in a bouquet simply means ‘love’. 66 Roses – this quantity on the other hand suggests ‘my love for you will never change’. 77 Roses – this number of roses signifies ‘faith’ and that you believe the person you are gifting is your soul mate. 88 Roses – if you owe someone a rather big apology, 88 is the number of stems to choose. 99 Roses – want to let a special someone know you’ll love you till the day you die? Give them a bouquet containing 99 single rose stems. 100 Roses – a gesture of devotion. Kapruka.com or check our Valentine’s Collection for special Valentine’s gifts. 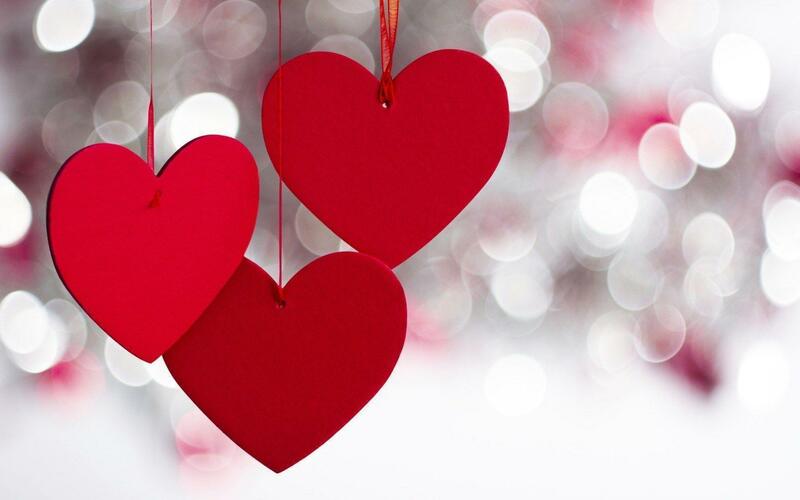 If you have any more Valentine’s related questions do not hesitate to leave a comment below. We are here to make sure that you have a memorable Valentine’s.